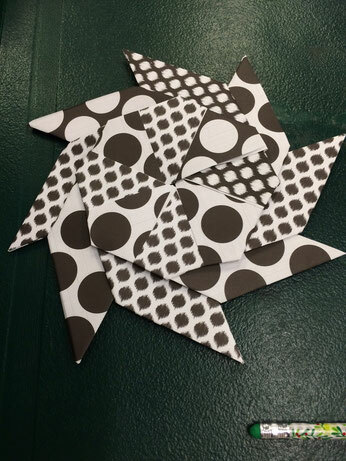 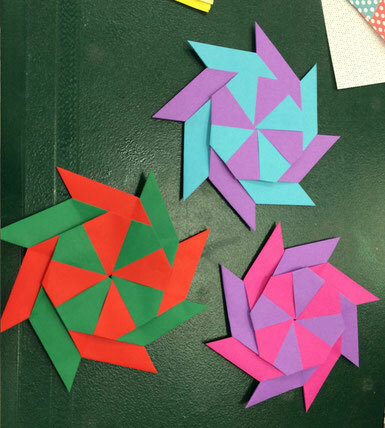 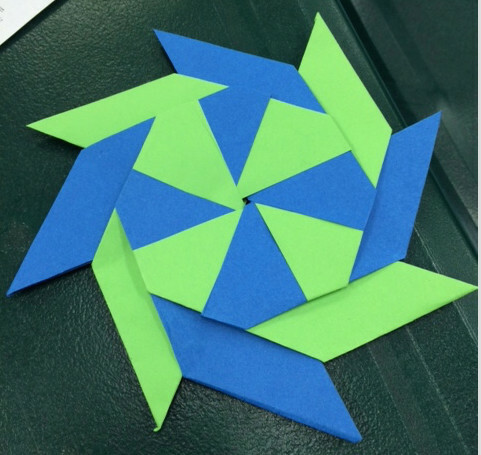 By combining origami skills and geometric thinking, sixth and seventh grade students created octagons that transform into pinwheels. 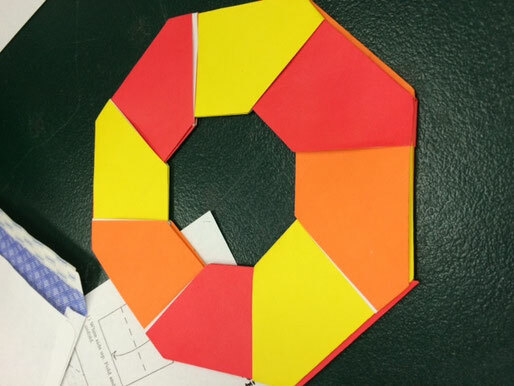 Mathematical vocabulary described the folds and shapes, and geometric thinking enabled students to determine interior angle measures (without using a protractor). 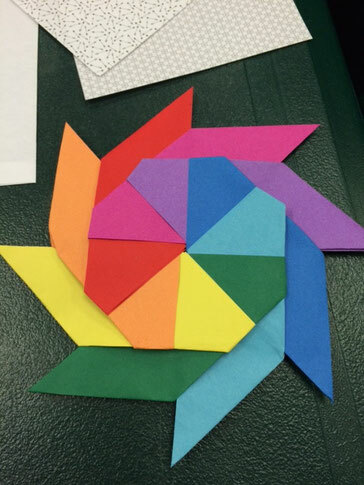 The activity also reinforced plenty of collaboration, cooperation, and color theory. 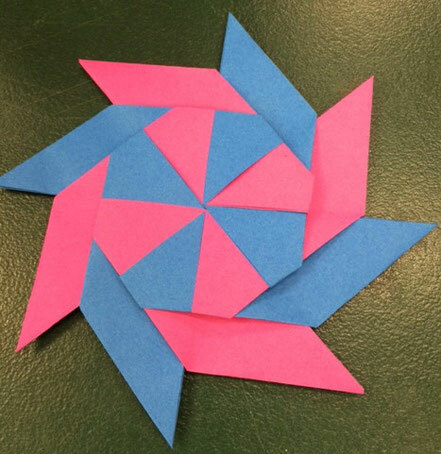 My source was Illuminations: Resources for Teaching Math, which is a project designed by the National Council of Teachers of Mathematics . 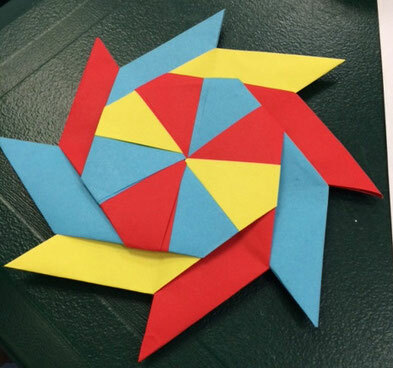 I have used this same activity with upper elementary grades, however, the Illuminations’ instructional plan bumped-up the mathematics by including suggestions for determining area, related extensions, and questions for reflection. 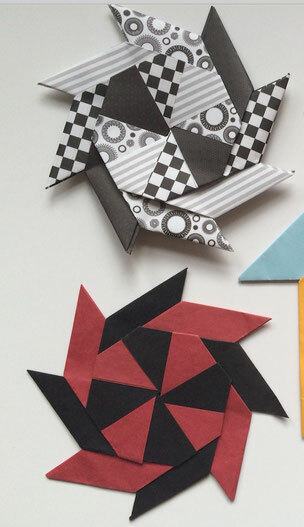 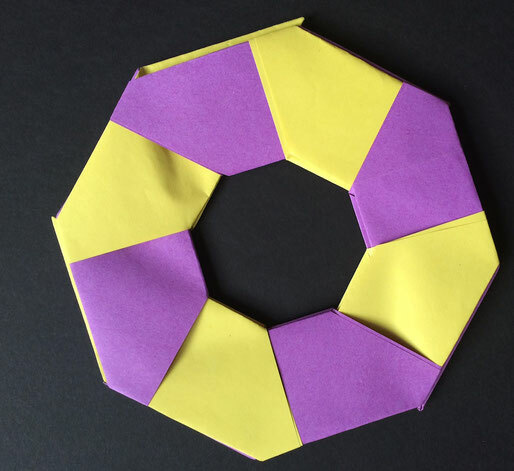 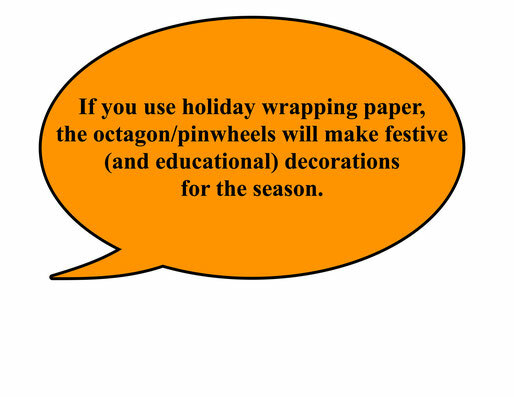 If you use holiday wrapping paper, the octagon/pinwheels will make festive (and educational) decorations for the season. 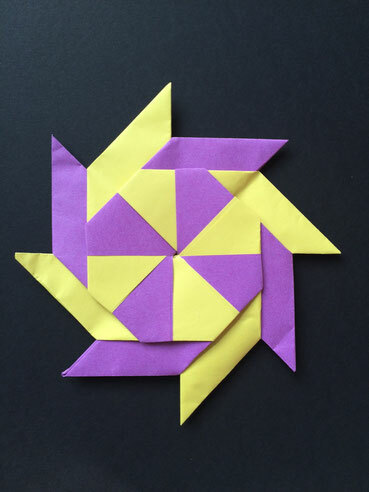 Gently pull and the pinwheel transforms into. . .